As a 46 year old single parent with an 8 year old child at home, I find myself thinking a lot about what I can do to keep active and stay healthy. I need to be able to keep up for a lot more years, and let’s face it.. I’m not getting any younger. Being a parent has a way keeping things in perspective. Now that a new school year is well underway, we are adjusting to our new schedule. Taking the dog for a walk every evening is one way that we sneak in a little exercise. With cooler weather on the way, I’m looking forward to hiking some local trails and hopefully shedding a few pounds, before the holidays. Weekdays are super hectic. Those 4 1/2 hours after school, before bedtime, go by super quick. Healthy dinners are important, and I’ve tried very hard to not fall into the trap of doing fast food or convenience foods. 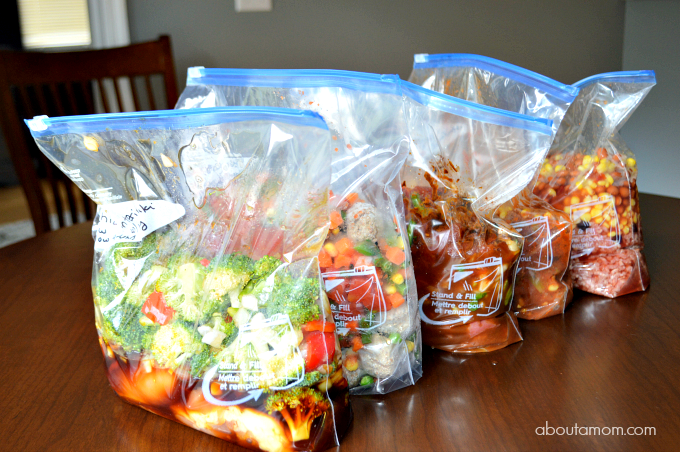 Healthy freezer meals that can be prepared on the weekend have been a huge help. 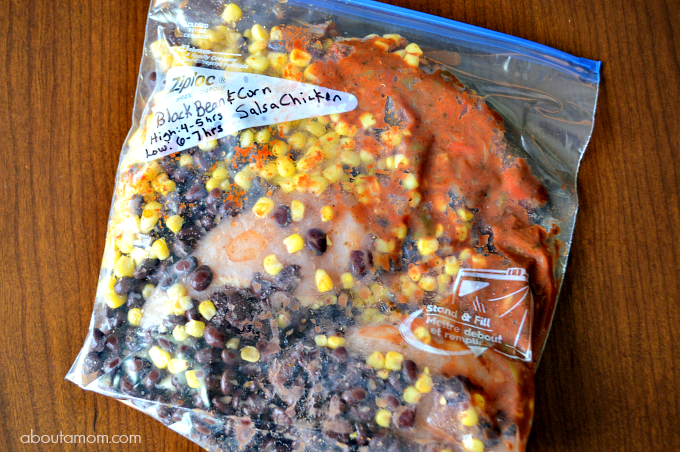 Today I’m sharing 5 of my favorite freezer meals that can be cooked in the slow cooker. My version of healthy is lots of vegetables and no “cream of” soups. For time’s sake I do take shortcuts and use things like seasoning packets. Below are recipes for 5 healthy slow cooker freezer meals that Tati and I prepared on Sunday afternoon. Having kids help prepare these meals can be a great learning experience, and an opportunity to bond. With teamwor, Tati and I put these 5 meals together in less than an hour. Just one hour of our time, and we have a healthy dinner to put into the Crock-Pot slow cooker every day of the school week! Directions: Place all but the last 2 ingredients into a gallon size freezer bag. Remove all air and flatten. Freeze flat on a cookie sheet. Once frozen remove the cookie sheet and store in the freezer until ready to cook. To eat, thaw overnight in the refrigerator. Cook in slow cooker on low for 6 to 7 hours. Use a wooden spoon to break up the meat. Add pasta and cook an additional hour or until macaroni is al dente. Top each bowl of soup with shredded cheese. I’d like to note the importance of using very lean ground beef in this recipe, since you won’t have a chance to drain it off after cooking. You do have the option of placing the meat in a separate bag, and cooking it off before placing in the slow cooker. If you do that you can reduce your cooking time by an hour or two. Directions: Place all ingredients into a gallon size freezer bag. Remove all air and flatten. Freeze flat on a cookie sheet. Once frozen remove the cookie sheet and store in the freezer until ready to cook. To eat, thaw overnight in the refrigerator. Cook in slow cooker on low for 4 to 6 hours, until chicken is cooked and veggies are tender. I like to serve this with some brown rice. Directions: Place all but the last 4 ingredients into a gallon size freezer bag. Since this soup has a lot of liquid, I prefer to add it at the time of cooking. Remove all air and flatten. Freeze flat on a cookie sheet. Once frozen remove the cookie sheet and store in the freezer until ready to cook. Before serving, thaw overnight in the refrigerator. 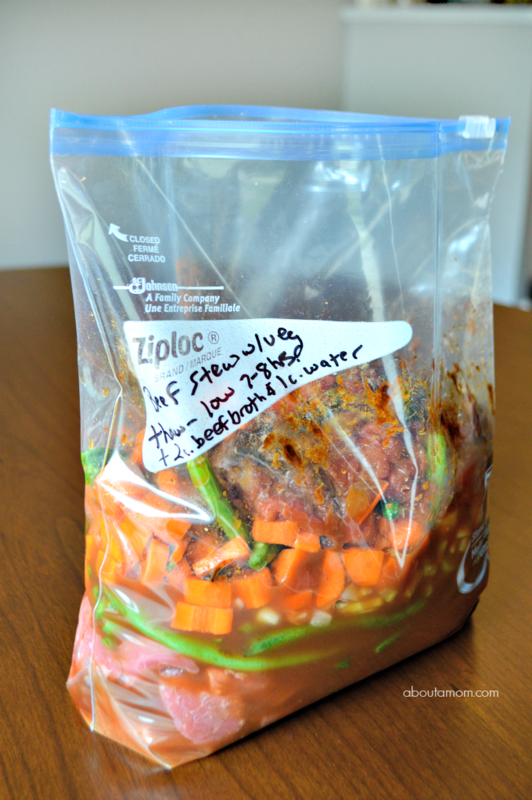 Add contents of freezer bag to slow cooker, along with beef broth and liquid. Cook in slow cooker on low for 6-7 hours on low. Stir in pasta and cook an additional 30 minutes, or until pasta is al dente. Top with shredded cheese when serving. 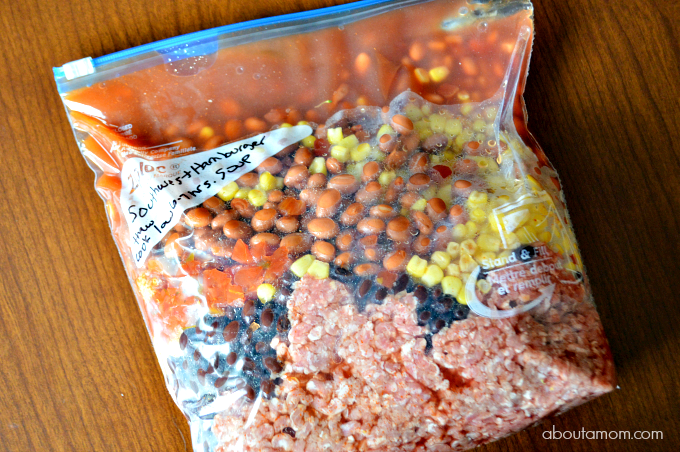 Directions: Place all ingredients into a gallon size freezer bag. Remove all air and flatten. Freeze flat on a cookie sheet. Once frozen remove the cookie sheet and store in the freezer until ready to cook. Before serving, thaw overnight in the refrigerator. 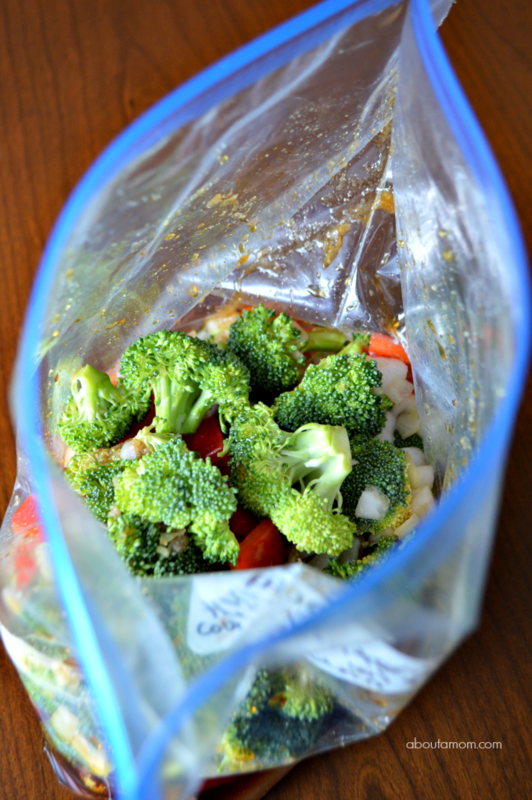 Place contents of freezer bag into the slow cooker. Cook on high for 4 hours or on low for 7-8 hours. Serve with rice or make tacos with flour tortillas. 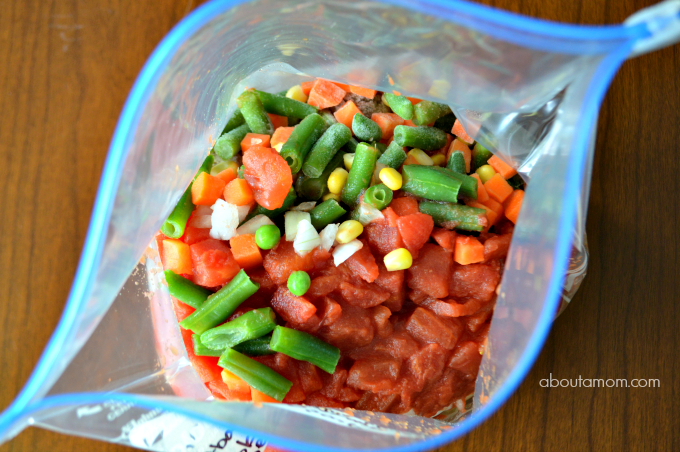 Directions: Place all ingredients into a gallon size freezer bag. Remove all air and flatten. Freeze flat on a cookie sheet. Once frozen remove the cookie sheet and store in the freezer until ready to cook. Before serving, thaw overnight in the refrigerator. Place contents of freezer bag into the slow cooker. Cook on high for 4 hours or on low for 7-8 hours. 1. 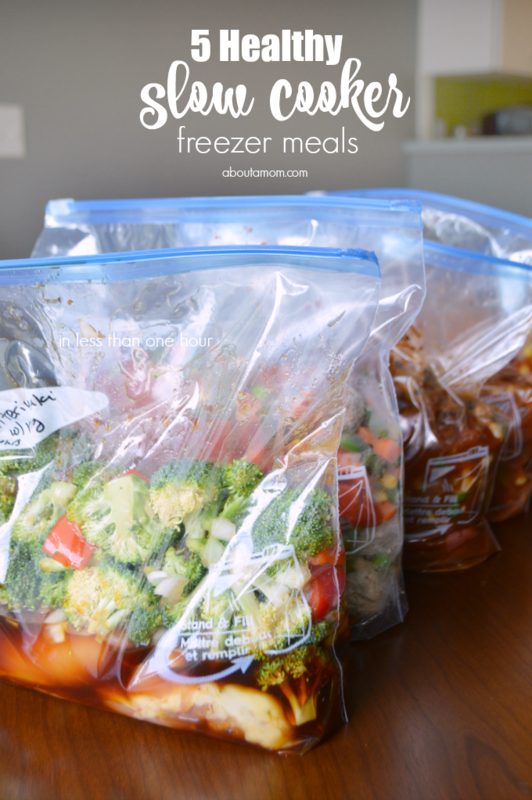 Freezer meals can be kept in the freezer for up to 3 months. 2. Always write the cook by date, the name of the meal and cooking instructions somewhere on your freezer bag. 3. When freezing a recipe that calls for pasta, you can add the pasta to the freezer meal. However, I prefer my pasta to be al dente usually add it during the last 30 minutes of cooking. 4. I freeze all of my meals raw, so they are very easy and quick to prep. Plus, they’ll cook for the first time out of the freezer and won’t taste like leftovers. If you’re nervous about mixing raw meat and vegetables, check out this info from the USDA Food Safety and Inspection Service. It’s totally safe. Eating healthy foods is important for both kids and parents. These make-ahead slow cooker freezer meals are a great way to have a healthy meal on a busy weeknight. What are some ways that you are upgrading your lifestyle and living healthily? You might also like this Healthy Slow Cooker Butter Chicken recipe from my friend, Tara! These are fantastic recipe ideas, I don’t know how I could make as many home meals without a crockpot. As a busy parent I too crave recipes that are easy but also healthy. This blog post is a complete score! 5 recipes that I’ll be making soon! I love this! I’m so busy all the time. Freezer meals like this save me time on every front, and they look really good. That. Is. AWESOME! I have a blog, five kids, and a husband. Which means I have next to no time for cooking. This is the best. These meals look DELICIOUS! The time between school and bedtime does go by quickly. I need more hours in the day! Thanks for the ideas! Weeknight dinners can be hectic around here, so I love the idea of planning ahead with meals like this. They definitely sound delicious too! 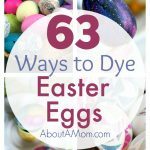 I love these recipe ideas! Making meal time shortcuts would be so helpful for busy nights. I love to use my slow cooker. It saves me so much time during the week. I will have to try the Southwestern Hamburger Soup recipe first. I am always looking for new slow cooker recipes to try. Thanks for these. I am excited to try them all. This is brilliant! My daughter-in-law is so very busy and she loves Make ahead meals in her slow cooker. I can’t wait to share this with her! I don’t use my slow cooker nearly enough! I should start getting into freezing my meals – would totally be a time saver. I have a friend who just did this to get ready for her babies! Ohh these are great! I love slow cooker meals when it’s chilly out, and it helps that they are so easy to do. I love good slow cooker recipes. It’s hard to find time to cook a meal so the slow cooker comes in handy. Even better that these are healthy meals. As a busy mom, I too crave recipes that are easy but also healthy. i can’t wait to try these 5 recipes soon! This is a great idea for weeknight meals. It would free up so much time with all the prep work being done. I’m going to make these slow cooker freezer meals and bring them to my son. They will be perfect for him. He likes to eat healthy and it will be so easy for him. Love crock pot meals!! These are great slow cooker meals. These look like such great healthy meal and what a time saver thanks for sharing. I use my slow cooker a lot so I love this post. I want to try them all! I can’t wait to try these. December is my busiest month and these look like they’re quick and easy! What a great idea, especially for mothers who work. And the recipes sound so good. This idea is so great for working parents. I love the fact that these are healthy as well. Couldn’t live without my crock pot. Thanks for the great recipes and tips, this will really help during our crazy weekdays! These recipes look yummy! Thanks for sharing! This is a great idea for a quick and healthy meal. I love making freezer meals in advance. Thanks for these new recipe ideas! These meals look delicious! I want to make the SOUTHWESTERN HAMBURGER SOUP! All the recipes are great to make ahead of time and have them ready to go when needed! These are actually great for the summertime when I don’t like heating up the house with using the oven or stove! I’m saving these! I would love to try the teriyaki chicken and vegetable idea! We’re all about healthy eating. these are perfect for our weekly meal prep. thanks for sharing it with us. I think freezer meals are so convenient especially for after work. I would enjoy trying the BLACK BEAN AND CORN SALSA CHICKEN recipe. We’re getting close to Fall, so it will soon be soup weather. I want to try that Southwestern Hamburger Soup. My kids would love the beef stew recipe. Thank you for sharing! As a busy mom of three I am a huge fan of slow cooker meals! Not only do they always taste amazing, but they make my life so much easier! 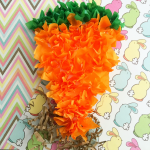 🙂 I especially love that you can pre-make these and just throw them in, how brilliant! Thanks for sharing! These all sound really good. I like the idea of freezing raw and appreciate the link for reassurance that it is safe to freeze veggies and meat together even raw. I never thought of preparing freezer meals for my slow cooker. I love that these are all healthy & easy to make! I’m looking forward to trying some of these recipes,especially the Meatball and Veggie Soup! Thank you for these recipes. We are starting a healthy living in this house. What delicious meal ideas! I’d love to make that hamburger soup for my family. Looks so good and flavorful!